Iran supposedly wants to send a Persian cat into space. 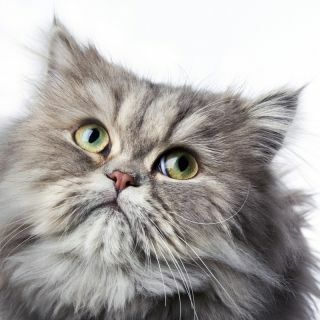 Iran announced that it wants a Persian cat to be its next astronaut, the country's state news agency reported. The flat-faced creature could be a feline forerunner for manned missions. Iranian space official Mohammad Ebrahimi told state media that the cat could blast off atop a liquid-fueled rocket as early as March 2014, according to the AP. Iran's leaders have said they hope to send a human into space by 2018 and put an astronaut on the moon soon after, but those goals have been met with both skepticism and concern. Western observers have had a hard time keeping tabs on the nation's space progress, and some worry about the military implications of Iran's cosmic ambitions. Earlier this year, Iranian space officials claimed to have successfully launched a monkey into space. But that victory was disputed after some pointed out a mole that seemed to disappear from the monkey's face in before-and-after photos of its alleged flight. Iran maintains that it did indeed launch and safely return the monkey, and that state media mistakenly sent out a photo of the wrong primate.